Beyond my interests as an Illustrator, helping other artists is a passion of mine! Unfortunately, being an Illustrator, running an additional crafting business, and maintaining my skills in both areas doesn’t leave much time for me to help everyone in the ways that I wish I could. While I still keep an ongoing blog with art marketing tips and advice for artists and crafters, here are the ways that you can work with me directly to receive pointed advice about your work and art career. 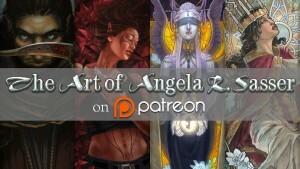 I have been a professional freelance artist and artisan for the past 5 years with a focus in fantasy illustration working mainly with self-publishing authors, while aspiring to enter into the larger markets of card art and book cover illustration. My secondary business as a mask-maker and leather crafter is Etsy based, giving me knowledge of this arena as well. I have a range of experience managing and selling arts and crafts via art fairs, conventions, online venues, and brick and mortar galleries as well as experience with traditional and digital media. 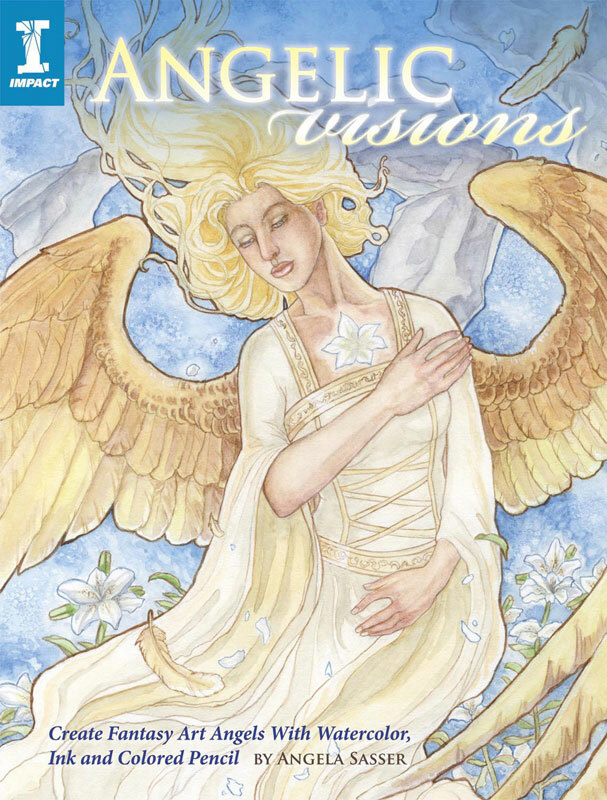 I have also worked with Impact Books in the publication of a mass market art instruction book entitled Angelic Visions: Create Fantasy Art Angels in Watercolor, Ink, and Colored Pencil and am familiar with the process of publication, setting up book signings, author events, and other promotional concerns for authors of this kind of book. I graduated from The State University of West Georgia with a BA in Studio Art and a BA in English with a focus in traditional art methods and creative writing. I received higher education at The Savannah College of Art and Design, where I earned my MA in Arts Administration with a written thesis on e-marketing and evolving audiences. Utilizing social media for the good of artists is a particular passion of mine. My resume can be viewed here. A portfolio review will be conducted via Skype or Google Hangouts by appointment only. Artist will provide 10 to 20 images for review via a pre-prepared portfolio link or e-mail attachment. DeviantART’s portfolio feature is a great tool for this. We will discuss your goals in the art industry, the overall impression of your work, your strengths and weaknesses, portfolio presentation, resources that may be useful to you as an artist, and any other topics which you wish to discuss. 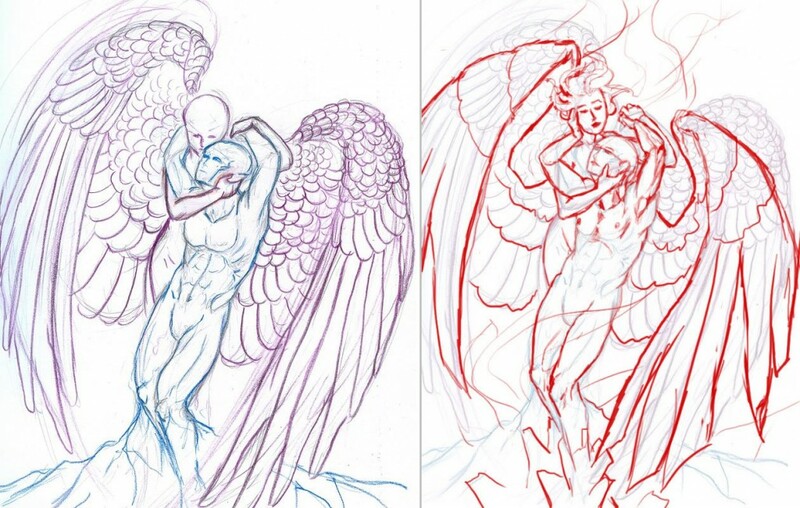 I will use an image provided by the client to create a detailed critique in the form of a paint over or basic red line meant to aid in improving the image with the concerns of the client in mind. A detailed image and descriptive text critique will be provided. – A .psd file featuring a layer with your paint over plus any layer masks, adjustment layers, etc. which were used in your critique. – A video detailing each element which was critiqued and suggestions for improvement plus links to resources which I believe might aid your future work. With a Red Line, you will receive:- A .psd file featuring a layer with your original image plus a redline with suggested corrections using corrective line drawing. – A video detailing each element which was critiqued and suggestions for improvement. You can also sign up for a monthly paintover or redline via my Patreon and receive exclusive rewards in addition to your critique! If you are interested in my creative services, contact me via e-mail and we can discuss further details! I process payments via Paypal (which also accepts debit and credit cards without having to become a member). You will be invoiced via Paypal for services beforehand.